I don’t know how many conversations I’ve had with I don’t know how many people about how we have reached our absolute maximum capacity for falling in love with new artists…be they boy groups, girl groups, duos, solo artists, or subunits. There is just an overwhelming amount of content coming out of South Korea and trying to consume it is like turning on a fire hose pointed directly at my heart. And yet, I continue to find room in that tiny muscle to fit just one more soul mate…or five. The market is officially saturated. Groups that deserve fan clubs, official colors, and light sticks just aren’t getting any ‘radio play’ because there are at least a dozen others that deserve it just as much all debuting at the same time. As a lover of Kpop it can be really challenging knowing who to listen to, who you want to worry about getting enough to eat, who you want to invest the considerable time it might take to learn all of the members, their stories, their backgrounds, and birth years, and favorite colors. It can be heartbreaking when you fall deep for a group that goes nowhere. With few exceptions (and there are exceptions, I assure you), I am extremely hesitant to get attached to groups that don’t have at least a few releases and a couple of years under their belt. I stumbled on Pentagon, SF9, and IMFACT all around the same time, near the end of 2016. 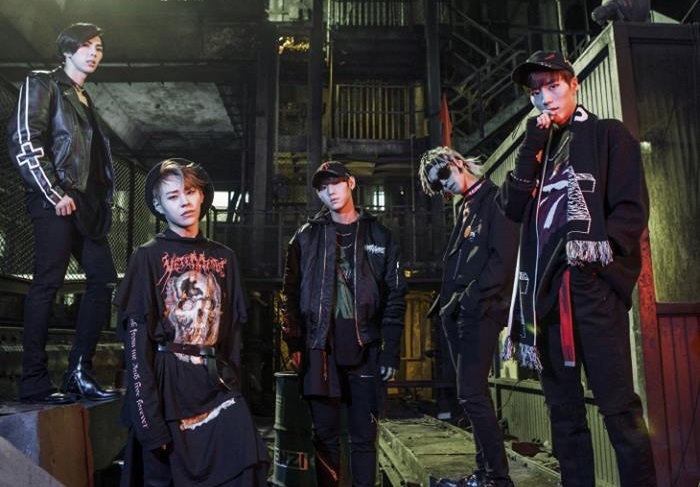 IMFACT debuted in January 2016 and the other two in October 2016. At first listen, I really enjoyed them all but was almost 100% positive that I would be falling in love with IMFACT. They check a lot of boxes for me on the list of boy group preferences, they have decent vocalists, a fantastically high-toned rapper with a hint of whine in his voice that contrasts beautifully with the low-toned rapper, songs with a bit of a harder edge, and really, really bad hair. You might have heard on the Kcon wrap up episode of the podcast, I have a strong proclivity for terrible Kpop hair. It hurts so good. I was seconds away from being completely invested when I accidentally fell down a Pentagon shaped YouTube rabbit hole and was swept up in Hui, E’Dawn, Jinho and the crew in a permanent and irrevocable way. I kind of forgot about IMFACT and I feel terrible about it. The group was set to do a whole IMFACTORY series in 2017, releasing songs every month and putting up a ton of content on YouTube. After only three installments, the project was called off. And the installments were gooooood. They really haven’t been unable to gain any traction and just aren’t making the kind of money their label would like to see. But thanks be to whichever higher being is in charge of Kpop fate, this doesn’t mean the end of IMFACT just yet. As announced on August 24, the group or at least some members of the group are in talks to take part in the idol rebooting project “The Unit” on KBS (Airing in October). The premise of the 14 episode program is to take already debuted idols that haven’t been successful and showcase their talent. They will be split into groups of ten boys or ten girls to compete. I have no idea what the actual challenges will look like, but it could be interesting if you like survivor shows. I’m not good at them. I’m not particularly competitive in that way and even watching Pentagon Maker upset me and I already knew they all ended up in the group. You might be surprised to see who else is signed up for the show (think members from Boyfriend, Boys Republic, Bravegirls, and T-ara to name a few). Needless to say, there will be a lot of highly trained and talented idols on that stage and I hope that the members of IMFACT are able to stand out. Finally. They deserve it.